The Paris Attacks: What to Say? What to Think? What to Do? 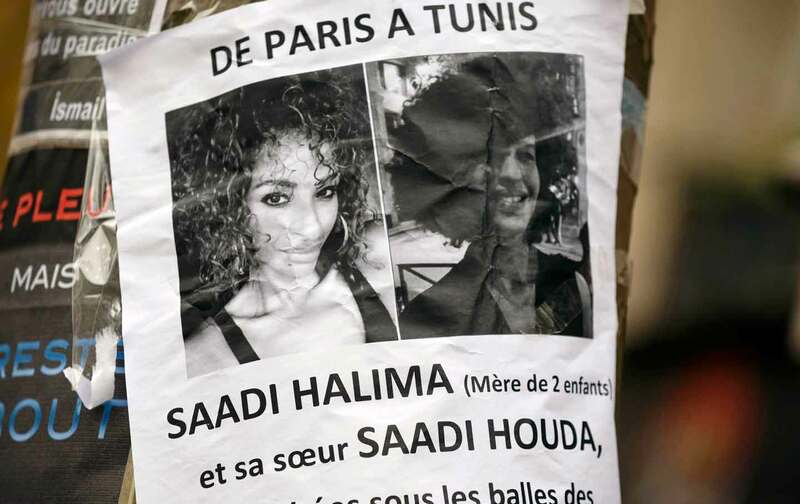 An Algerian writer ponders the brutal and senseless absurdity the jihadis seek to impose. The news hit me at night, in Brooklyn. A choking black fear suddenly gripped me, because I am Algerian and know what war means: the destruction of all that is human, rupture, the triumph of blindness in all its myriad forms. For years I’ve watched as the world fell victim to a potentially fatal disease of the heart. I have felt like a hunted man, trapped, the bearer of a plague because of my geographic position: I stand between the killers and the victims. What use are people like me in a time of open war? This essay was translated from the French by Arthur Goldhammer and first published in Le Point. © Le Point. My first anxiety after absorbing the shock of the slaughter concerned the nationality of the killers, because today a killer kills not only his victim but also his native land. The hardest thing is to know how to react. There might indeed be nothing left to say. Condolences are clichés, and proclaiming one’s anger is banal and inadequate, like shaking the hand of a corpse. Humanity does not share the color of my skin, but the face of the barbarian resembles mine. This, in a nutshell, is the tragedy of the hostage. I am a brown man between two worlds, trying to sell a vision of the world demolished by the explosion. “Allahu Akbar” was a cry I used to hear often, and it terrified me. God is great. Now, once again, these words emanated from the mouths of killers, diminishing the world and calling forth accusations, racism, suspicion, insults, and bodies. “God is great” makes the individual feel small, presaging not ecstasy in the face of the divine but death. What can one say to this country that it has not already heard and even decent people now struggle to believe? That Islam is not Islamism? That the terrorists are killing me as much as you? That they kill more Muslims than Westerners (as if comparing cemeteries offered consolation)? That one should not emulate the killers by killing all kindness and tolerance in oneself? That Muslims should take to the streets in protest? In what language is one supposed to address people whom pain and fear have deprived of reason? My words are but a fistful of sand—for what can they possibly count? I therefore waited two days before reacting, because I do not see how words can help to restore reason. The global September 11 has endured for a decade now and moved from hurtling aircraft to open warfare. In New York, where I have spent the past few weeks among journalists, I was struck by the numb routine of the reaction to the Paris attacks. Reporters rushed to cover the events, they wrote and commented, but mechanically, as if distracted by fatigue, as if indignation and cries of pain were no longer adequate to capture the facts. As if there were nothing more to add to the end of the world, or the end of the sentence. Everything had already been said. War had become routine. First, fear. There is nothing worse or more stressful than the after-effects of the attacks. You think of your own skin and of the others who share skin of the same color and who will have to “pay” for the crime in France and the West: immigrants, refugees, expats. Daesh (Arabic for Islamic State) struck France for what it represents: its secularism and diversity. Daesh knew that it was precisely in France that it had to strike in order to provoke rejection, racism, hysteria, and extremism. On all this its future recruitment depends: The monster feeds on alienation and old messianic texts. One book, one desert, one purpose. The attacks would not have made sense had they not been aimed at the country with the largest Muslim community in Europe. Without this the horror would not have been possible. France’s diversity is its wealth, but also its vulnerability. And diversity will suffer. The world will become even more closed than it already is. And Daesh will have been proved right. Second, the attacks show evidence of organization and patience, the hallmarks of a state—the Islamic State or some other rogue state reacting to international pressure that has become intolerable. “Assad must go” has given way to “Hollande must go,” say the suspicious. This attack is heaven’s gift to the world’s devils. France will be driven to wage internal war on its own people on behalf of its own people in order to believe that it is defending itself. The attacks killed 129 people, but many more will die elsewhere when Europe closes its borders to refugees. Europe will shut itself up and listen for the sound of footsteps across the continent. The number of displaced persons will grow. In my world, Islamism will thrive, and war will follow. War already looms on the horizon; it is all but inevitable. The North struggles to comprehend the South’s collapse into the sinister utopia of Daesh, which is no longer a fantasy state but a fantasy of power and vengeance that will consume generations to come. To put it in such blunt terms annoys the well-intentioned people in my part of the world who are doing battle with the Monster, but it is a battle they are losing. Yet they shrink from admitting it. That is the right question, because it still has no answer. Some take up arms, while others cry for vengeance. What is to be done with the Islamists, or against them? This question is already old in a century still too young. Islamism is a form of fascism. Its vision of the world is built on global ambitions, totalitarian cunning, and strategic subtlety: It cannot be moderate, only patient. It erodes humanity in the name of religion, but religion is only a means to an end. It does not defend God but seeks to replace him. So what is to be done? Killing it only proves it right. Martyrdom is its mechanism: The more one kills it, the more eternal it becomes, and the more right. At times the war on terrorism is itself terrorism. It is necessary but insufficient. The idea is to eradicate terrorism today, but this counts as victory only if it can be prevented from springing back to life tomorrow. The jihadi is not born but made, by books, television, mosques, despair, and frustration. All of this comes from one source, one country, one kingdom. What is the good of striking the shabbily dressed Daesh in Syria if one simultaneously grasps the hand of the well-dressed Daesh in Saudi Arabia? This simply postpones the attack; it does not prevent it. Idealism is an ideology with the money to propagate itself. Understanding this is necessary in order to mount an effective response, and by means other than fighter jets or voting for the extreme right. The idea is not to play into the hands of the Islamists, not to hand them ammunition, and above all to prevent them from enlisting more killers. To close France off from the rest of the world is an obvious reflex, but it is not the right one. This fascism cannot be confined offshore. Shutting one’s eyes to the flames will not extinguish them. What is required is firmness and individual resolve. Daesh kills, destroys, excludes, terrorizes, lies, and plunders; it recruits the desperate, alienates and dehumanizes. It must therefore be eradicated everywhere, but by means other than the ones it has used itself in France and elsewhere. Can we do it? I have my doubts. But I also have children, and therefore a duty. I am afraid for France, but I am also afraid that France will react badly and harm its own people. The killers came from elsewhere, but also from France’s own womb. Kamel DaoudKamel Daoud is the author of Mersault, Contre-enquête (Actes sud)—available in English translation as The Mersault Investigation (Other Press)—and a columnist at Le Quotidian d’Oran.